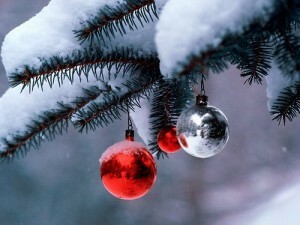 I wish all of you a very Merry Christmas and great happiness on the holiday. One of the real joys for me, as a Jew, has been to better understand from your comments on this website the genuine and fervent support for Israel of so many devout conservative Christians. Sometimes I think your support for Israel is more intense and unequivocal than that of many of my own faith. While certainly this is based in part of biblical prophecy, the allegiance to Israel among American Christians is even more than that. I believe there is a genuine empathy for a small, beleaguered nation standing strong – with the type of clear-eyed toughness that many conservatives admire – against countries that harbor and support terrorists who threaten not only Israel, but the United States. And I think there is sympathy for brethren who share a portion of the Bible and hold many of the same values that form the Judeo-Christian ethic. I wish more Jews, most of whom are moderate or liberal Democrats, understood that they have genuine friends among conservative Christians. And I wish they understood that the true allies of Israel are on the Right, and those on the Left are far more likely to support, out of concern for “social justice,” the agenda of many Arabs and others in the Middle East whose goal is not peace with Israel, but its destruction. So a very Merry Christmas to my Christian brothers and sisters. May you have a joyous and fulfilling holiday, and may those of you who are suffering in the tough times in which we live gain a holy day of respite from life’s burdens. 39 Responses to Merry Christmas Everyone! “Where liberty dwells, there is my country.” –Benjamin Franklin. Joys of the Season to you too Keith ! Here’s President Reagan’s Christmas message from 1981 …. For those of you who miss the sound of leadership, it will warm your hearts. That last bit about the gift of children was lovely and so fitting for this moment in time. I wear both the Star of David and a cross around my neck everyday. This time of year people will say how nice that you are celebrating both traditions. I respond that it’s more than that. Without the Jews my faith would be empty. The Old Testament is the foundation for everthing I believe. The Law forms the basis of right and wrong. My personal Savior is a Jew and without Him my life would be void of meaning. Our faith declares our Heavenly Father is preparing a place where there will be no more tears, no more suffering, war, division or hate. I especially look forward to no more pain since I have incurable illness that causes constant pain. He gives me the hope to persevere when my body won’t. My visit to Israel a few years ago was the culmination of years of longing to be closer the ancestors of my faith. I absorbed each of their traditions as I peeked behind the curtain of their righteousness. So today, as our family celebrates the birth of the One who brought hope and light to the world, we will pause and pray for peace in Jerusalem and for all our brothers and sisters suffering in the Middle East. It is through them we can garner the courage to be strong and courageous in our personal trials and struggles. God bless you Keith, and Merry Christmas/ Happy New Year to you and yours. Hope no one takes offense! G-d gave the Jew to the world for the world’s redemption, and it is because of this that the forces of evil in the universe (Satan – yes I believe he exists) have been trying to destroy the Jewish people from the beginning. It is not just a war between the West and Islam that exists, but a war between the forces of good (G-d), and the forces of evil (Satan). G-d bless everyone here on WHD, whether they celebrate Christmas or Chanukah, Easter or Passover. May all of you rejoice in this time of year, and receive the blessings of G-d.
Merry Christmas Keith!! Praise God for his perfect gift in Jesus!! Thank you for the beautiful prose, Keith. Wish everyone a very Merry Christmas. “10 And the angel said unto them, Fear not: for, behold, I bring you good tidings of great joy, which shall be to all people. You might think I am Jewish by my name, but I am not. Nevertheless, I believe that all the ethos of good in the Western world stems from this tiny group of people, and I pray that the United States will never abandon our friends who have borne so much suffering in favor of what is expedient and mighty today. This is as political as I will get today. Julie, God gave that parcel of land to them for a reason. Perhaps we haven’t yet seen just how the Lord will protect his chosen people from attacks on their promised land and His people. Perhaps we are blinded by an ignorance of history. The enemies of Israel have been saying that the Jews have no basis for the land; that Jews have no history on the Land. But without Jews living there 2000 years ago, how can Jesus have been born? How could he have become the King of Kings without a history of the Jewish people on the Land. Thank goodness for Jews and Christians who believe in G’d. Without them this world would know of very little happiness. sadly, the newest Palestinian lie is that Jesus was actually a “Palestinian” (in their minds meaning “Arab”) and therefore not really a Jew! hopefully more Christians like those of you on WHD will fight back against the lies and remember that Jesus was indeed Jewish. Merry Christmas Keith and all my friends here, pray for peace! חג המולד שמח! ברכות לך ולמשפחתך. Merry Christmas Keith and all. Pray for the nation. Merry Christmas Mr. Koffler, and a Happy New Year! A wonderful greeting, Keith ! I give you back the ancient Nordic greeting, God Jul . Joys of the season to all of you.Now back to the kitchen. Merry Christmas to you and your family, Keith, and to all the posters here at WHD. What a great bunch of people you are! congratulations for winning also the Best White House Coverage Award on the Doug Ross ‘ 2012 Fabulous Blog Awards. Merry Christmas and a very Happy New Year to everyone on the blog. It has been good to be among friends during this tough year. May everyone receive many blessings in the coming year. Wishing all of you the best. Merry Christmas, Happy Holidays and a wish for a better New Year to every one here that has become a 2nd home of good people and friends. Thank You Keith for a fantastic blog site, congratulation on the Blog Award, and may 2013 be even better! Wishing everyone Love, Peace and Joy! Thank you for the expression of appreciation. You succinctly explain the motivations of conservative Christians who support Israel. I must confess that the eagerness with which many liberal Jews demonize Conservatives and Christians as Nazis provokes a certain ambivalence. Well said Keith and thank you. I am a Christian who is discovery the Jewish roots of my faith. Please check out pastor Larry Huch who is leading the way from New Beginnings church in Dallas Texas. I love your blog,I read it all the time to get the scoop on what the potus is doing.Golfing while we go down the drain? Shame on him.He should be brokering a deal. I really am disappointed by his lack of leadership.Lets get a real leader in the White House. And so with you, Keith. It has been a joyous day. May God’s grace and blessings be with you all. Your comments were spot on for how I feel about Israel. This is one of the few sites I go back to daily, since that appalling election. I appreciate it so much, all the work, by Keith and all the faithful commenters. Thank you. It was a wonderful Christmas essay. It does remind me, though, of a woman I know, who hung a banner in the Living Room for Christmas, that said, “This holiday was brought to you by your Mother.” I need to remind her that this Christmas was brought to you by the Jews. thanks for the lovely column, Keith. I am a Jew who converted to Christianity later in life, and who is now being pulled back to Judaism by my (suddenly devout) daughter! I wholeheartedly agree with you about Jews and evangelical/conservative Christians. Jews often seem suspicious of pro-Israel Christians. I have heard many people say “they just like us because Israel has something to do with their weirdo end-times beliefs.” I say, who cares? support for Israel should always be welcomed with open arms, especially now.